The 1876 Indian Act was created to force Canada’s indigenous population to conform to Canadian society, giving up their religions and culture in the process. 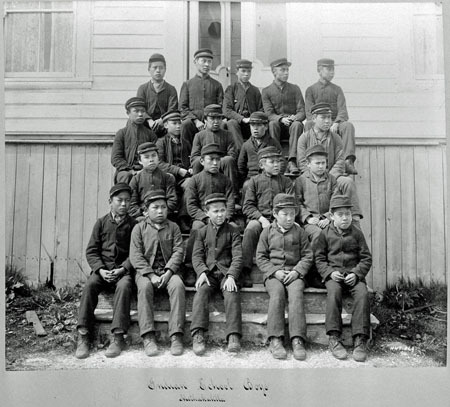 In 1883 the first residential schools were opened in Canada, in continuation of this policy. 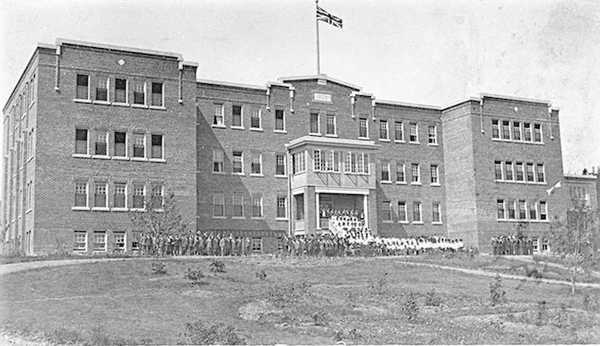 The residential school system required that all Native children under the age of sixteen be enrolled to learn Canadian values as set out by the Christian churches and the Federal Government. The Canadian Government felt that these schools were an effective way of fulfilling their educational obligations to Native children while ensuring they would become accustomed to the Canadian lifestyle. Attendance was mandatory for Native children, semesters went on for as long as ten months, and students frequently fell victim to both physical and sexual abuse, often leading to suicide or death. Since the closing of the last school in Saskatchewan in 1996 many Natives have spoken about the cruelty inflicted upon them, and there has been much public controversy over how the schools operated. The schools were run by the Anglican, Presbyterian, Methodist (later United), and Catholic Churches. They were chiefly located in the Western provinces, including Northwestern Ontario and later Northern Québec. By the 1930’s there were 80 residential schools in the country responsible for the care for and education of some 150,000 students. This number eventually grew to a total of 130 schools located in every province but Newfoundland, PEI and New Brunswick. School life was very difficult as students were taught either French or English, but were prohibited from speaking their own languages, forcing them to break ties with their Native culture. Indeed, students were known to have been beaten if caught speaking their Native languages. However, language was far from the only force affecting the lives of the children force to attend residential schools. Class was only taught half of the time, and most students only reached grade five. Rather than receiving a typical education, as the students were manly taught labour skills based on gender; girls (cooking and laundry) boys (farming and carpentry). Students were taught in separate classrooms based on gender, and prevented from having any interaction with their parents or home communities, depriving them of normal childhood experiences. They even had their hair cut short to prevent any visible ties to aboriginal culture. Many students had also experienced incidents of abuse and neglect from their teachers. Students were often sexually abused by teachers, staff, and other students causing severe psychological and emotional damage. Health was also a major issue, as many students died in the schools from suicide caused by depression and poor living conditions. The State claimed to be doing what was best for these Native groups, but their actions did more to eliminate Native heritage in Canada than to enable Native youths to succeed. The aftermath of the residential school system remains an ongoing issue in relations with our Native peoples today. In 2007, the Federal Government paid 1.9 billion dollars in compensation for the horrendous treatment native students suffered at residential schools. Further, the Truth and Reconciliation Commission was created in 2008 to allow Natives to express the experiences they endured during their years as students attending residential schools. 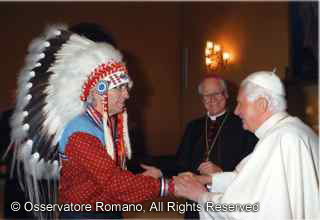 In an effort to repair the breached trust between the Native Peoples and the Federal Government many have apologized for their parts in the Residential School system, including The United Church of Canada in 1986 and again in 1998, Prime Minister Stephen Harper in 2008, and Pope Benedict in 2009. These apologies show that the school’s victims that they have not been forgotten, and help to ensure that such a thing will never happen again.